On the left side of this photo is my cousin Laine Sylvain who was born in Tahiti; a French colony and he became a French citizen automatically. His original surname was Lai. It was changed to Laine in French. He had primary and secondary education in Tahiti and 2 years in high school in Paris. He speaks French, English and Hakka, our mother tongue. When I was about 5 years old my grand father died at the age of 81 years. I am now nearly 86 years old. That means my grand father was born about 162 years ago in Loon Kong, Tamshui, Guangzhou China. 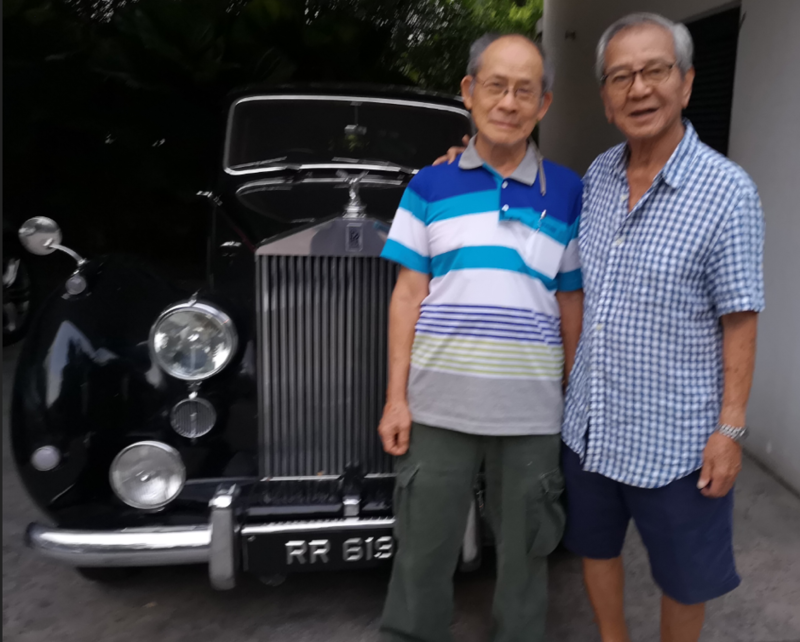 In his early twenties, about 140 years ago, he came to Kuala Lumpur with his cousin, Laine’s paternal grandfather whose surname was also Koon. They opened a timber saw mill on their land diagonally opposite the old Pudu jail in Kuala Lumpur. At that time, there were no electric saws. All timbers were sawn manually. My grand father employed many people from the same village in China. My grandfather had 3 wives and each of the wives had 1 son. My grand mother was the second wife of my grandfather. My grandfather’s cousin has only one wife and one daughter, Laine’s mother. She was born in China and came to Malaya with her father. The Chinese had been migrating to almost every country in the world. You may be surprised to know that most Chinese came to Malaysia. Laine’s father migrated to Tahiti to plant cotton for a French company. Soon his wife died and he wanted a new wife. Laine’s mother went to Tahiti to marry this man whom she had not even seen before. She gave birth to 11 children, 4 daughters and 7 sons. Laine is the youngest but one; number 10th and in Hakka he is called “Ah Schip”. Tahiti was originally settled by Polynesians between 300 and 800 AD. They represent about 70% of the island’s population, with the rest made up of Europeans, Chinese people, and those of mixed heritage. The island was part of the Kingdom of Tahiti until its annexation by France in 1880, when it was proclaimed a colony of France and the inhabitants became French citizens. French is the only official language, although the Tahitian language (Reo Tahiti) is widely spoken. The French Government tested the atomic bombs more than 100 times in the open sea near Tahiti in 1960 – 1990.